This is the year you are going to be successful! You just need to rethink a few of your ideas regarding healthy eating. To be successful with your healthy eating and weight loss plan you need to keep it simple. Select nutrient dense foods to promote your overall health and weight loss. The nutrient density of a food is measured by the amount of nutrients a food contains versus the number of calories. For example, fruit is very nutrient dense while potato chips have a low nutrient density. Diets typically backfire. If you lose weight by following a diet it's very likely you will gain the weight back. Studies even show you will gain back more weight than you lost. Following a diet can lead you to start obsessing about food and eventual binge-eating patterns. Instead of "going on a diet", focus on healthy new eating habits. Keep your metabolism high by eating 5-6 small well-balanced meals everyday, instead of the standard 3 large meals with no snacks. This allows your body to burn calories efficiently versus storing extra energy as fat. Shoot for a small meal or snack every 3-4 hours. New Year's is just around the corner and you know what that means. . .New Year's Resolution! Every year you set a goal to make a change for the better. This should be a time of great excitement; however, you may be approaching it with a sense of dread instead. Will you achieve your goal or will it end up being another resolution that falls to the wayside? The statistics are not very encouraging. Most people give up on their New Year resolutions within three weeks. According to one discouraging study, only 8% of Americans actually achieve their New Year resolutions! Set a goal you know you can achieve. If you are currently inactive, it's unrealistic to set a goal to run 5 miles three times a week. Instead, set a goal you can achieve, such as "I will walk 30 minutes 3 days a week." Realistic goals can be motivating because once you achieve your goal you can set a new one! This allows you to "see" the progress you're making. Which brings us to the next important strategy. . .
Measurable goals make it possible to track your progress. For example, instead of setting the goal "I will eat out less this year" change it to "I will eat out no more than once a week this year". By setting measurable goals you can easily track if you are sticking with your goals. Writing down your goals makes them "real" versus keeping a mental list. Post your resolution where you will see it everyday as a reminder and added motivation. Share your goals with others. This provides a sense of accountability. It's much easier to let yourself down when you haven't shared your plan with someone else. Talking about your plan with a trusted friend or family member will surely increase your desire to succeed. When you achieve a goal, reward yourself. It is important to recognize your accomplishments and treat yourself. Just make sure your treat is in line with your goal. If you want to lose weight, this is not the time to indulge in an ice cream sundae. Consider other small rewards you would enjoy, such as a good book, new music CD, or new pair of shoes. Want help staying on track? 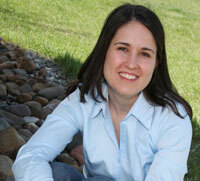 Get started working dietitian Lisa Nelson via a Mini Diet Makeover today! Lisa Nelson RD is the founder and owner of eNutritionServices, which offers support, education, and guidance as you achieve your heart health and weight loss goals. Receive regular heart health and weight loss tips from dietitian Lisa Nelson when you subscribe to The Heart of Health and the free special report "How to Make Heart Healthy Changes into Lifelong Habits".